“Erik and Erin bought their first home with Kerby years ago. 5 kids later, they decided to upsize to fit their family’s needs. Their home was BEAUTIFUL with updates they had done, and so we tested at a higher price than most of the homes in the neighborhood. We sold it quickly, yet down the line, the appraisal came in a bit lower than what we had sold it for. 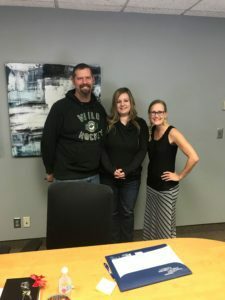 We were able to renegotiate with the buyers, and thankfully, still sold it for a lot more than they’d paid for the home!